In some cases, to properly replace the wires you need to use appropriate tools, eg. pliers (to remove the pipes of ignition cables from the spark plug insulators). Pliers – this type handles are specially designed by car manufacturers and are available under „special assembly tools” category. Some car are pliers-equipped. 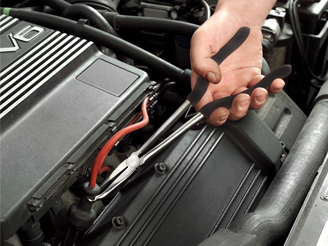 How to do replace wires properly guide is to find in the service book of your car. Keys to reach embedded spark plugs are necessary – remember to replace your spark plugs along with new wires! 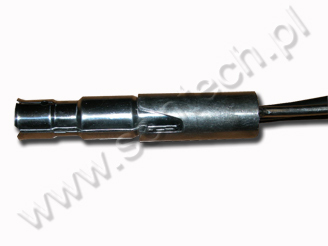 New ignition set must be perfectly compatible with criteria indicated by the car manufacturer and you can find it with ease in SENTECH online catalogue by make, model, engine capacity, year of production and engine type. We suggest you compare your „old”, original leads with a technical drawing, which you can also find in catalogue. If both are simmilar and correct, we can start replacing sets. 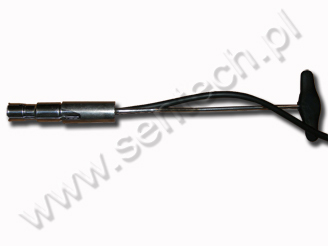 Using data from SENTECH cataloge make you sure that the ignition set meets the requirements of the vehicle producer. These tools are almost irreplaceable for the correct rewiring and are necessary to eliminate the mechanical damage of the coating by incorrect handling during the assembly. For safety reason and correct assembly, the wire replacement has to be carried out with the engine off and cold! Just before assembly, check the set description in our catalogue and compare your used wires with dimensions given in catalogue. 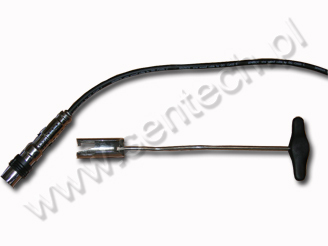 To avoid mistakes, ignition leads should be replaced one by one and in the same order. Replacement should be done with special tools. Do not pull the cable cover with wrong tools, or, what's worse – the cable itself, which may cause irreversible damage to its connection with the terminal. First, take the wire off of the spark plug, eg. from the first cylinder. Then take the other end off of the distributor. Next, from the set prepared for assembly, choose the wire with identical length and place it instead of your old one. 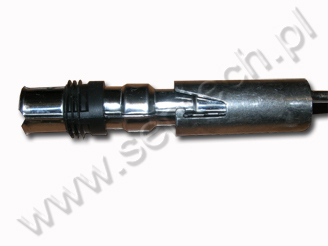 The metal ends must noticeably click on the spark plug or the distributor. If one of the termminals doesn't click info place or creates a wobble connection – it means it's deformated due to wrong rewiring. During assembly, beyond ensuring proper connection of metal contacts, make sure that excessive amount of air isn't under the rubber covers, as it may cause the cable to disconnect later due to its volume increase by temperature. It goes the same way with next cables of the set and after putting the last lead in a handle, your can cover your engine etc., to separate the set from the rest of the engine elements. (VW, MB group): 8083, 8137, 8138, 8246, 8424, 8456, 8457, 8465, 8467, 8542, 8546, 8579, 8597, 9001, 9025, 9026, 9034, 9062, 9076, 9077, 9081, 9083, 9097, 9100, 9110, 9115.